At a small gathering the other night, Sue was feted for all her years of writing for our local newspaper, The Glengarry News. She’s putting down her pen after 30 or so years. 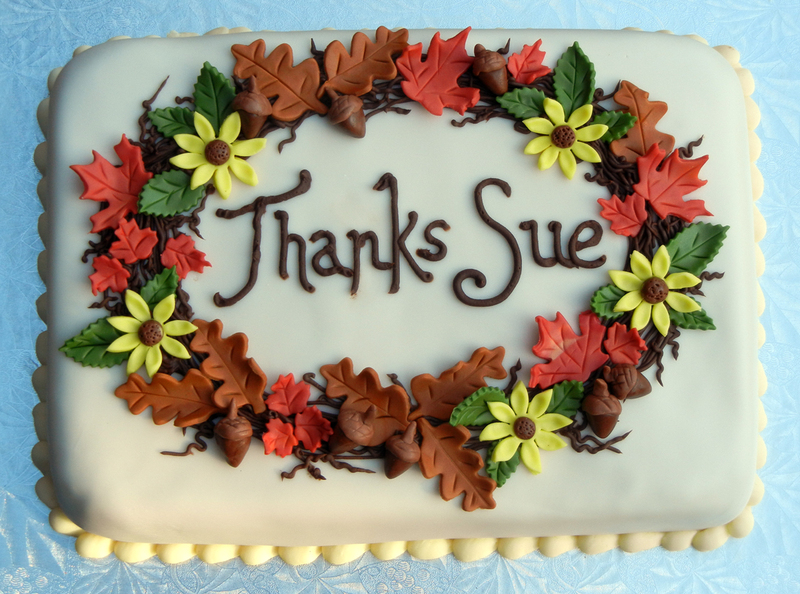 Sue will be missed. 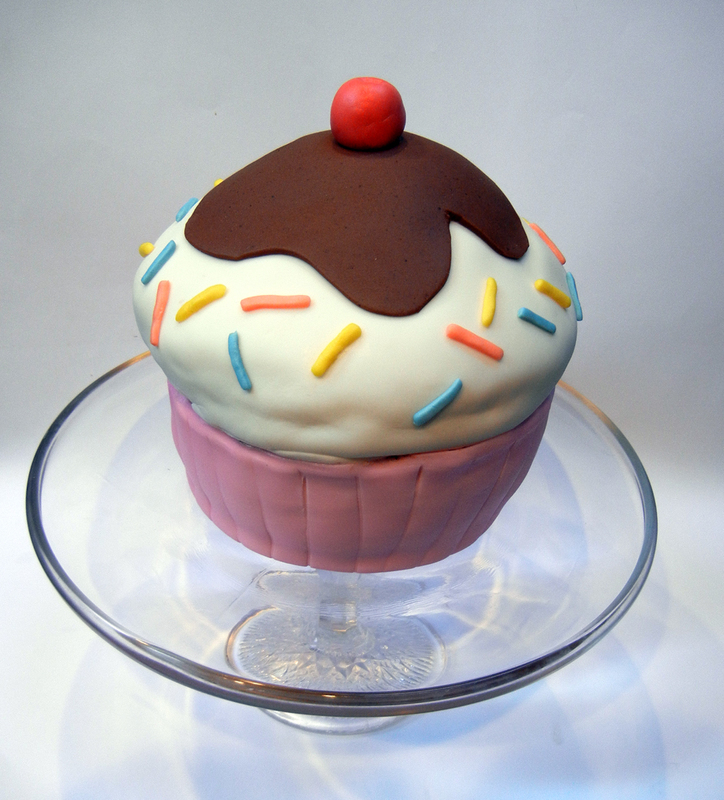 Okay, so every cake-maker in the world has probably made a giant cupcake by now. Or so it seems. It’s probably even out of fashion but it was still on my cake bucket list. We were invited to a combo retirement party and birthday party over the weekend and I offered to bring a cake. And I knew exactly which one I was going to make. Bingo! Silly. Not specific of any particular occasion. Fun. And I was right. It was silly enough and fun enough and delicious enough that we all enjoyed it. Giant cupcake cake, we love you. 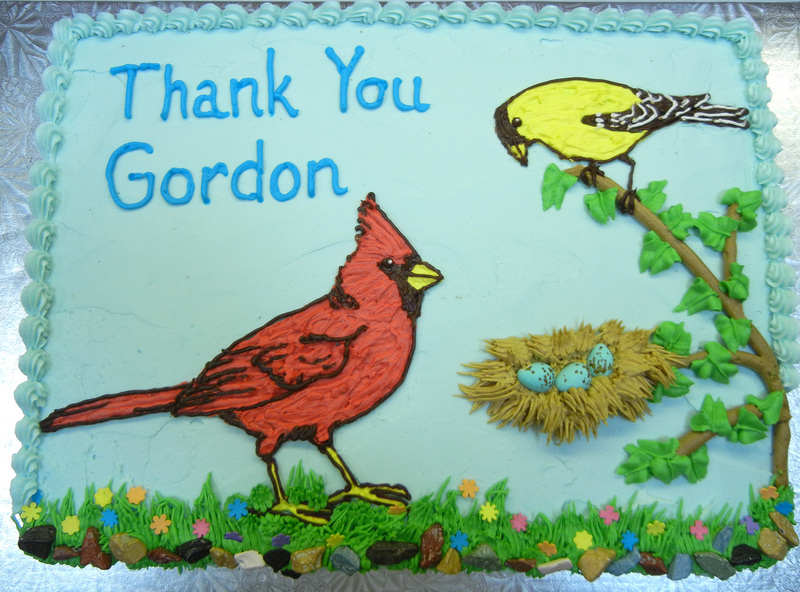 I made this cake for a co-worker who retired as a salesperson at our office. She was often on the road and returned with Post-It notes and clippings and all sorts of things in her folders. I thought it was a fun way to point out possible adventures to come and at the same time remind her of the chaos she left behind. Jean has worked as a columnist for our local newspaper for over 30 years. 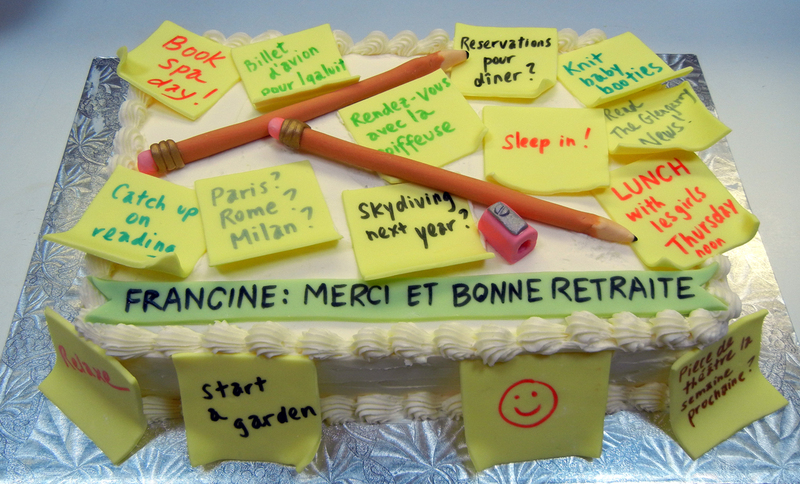 For her retirement party, I thought I’d make a cake that suited a lovely 80+-year-old lady. 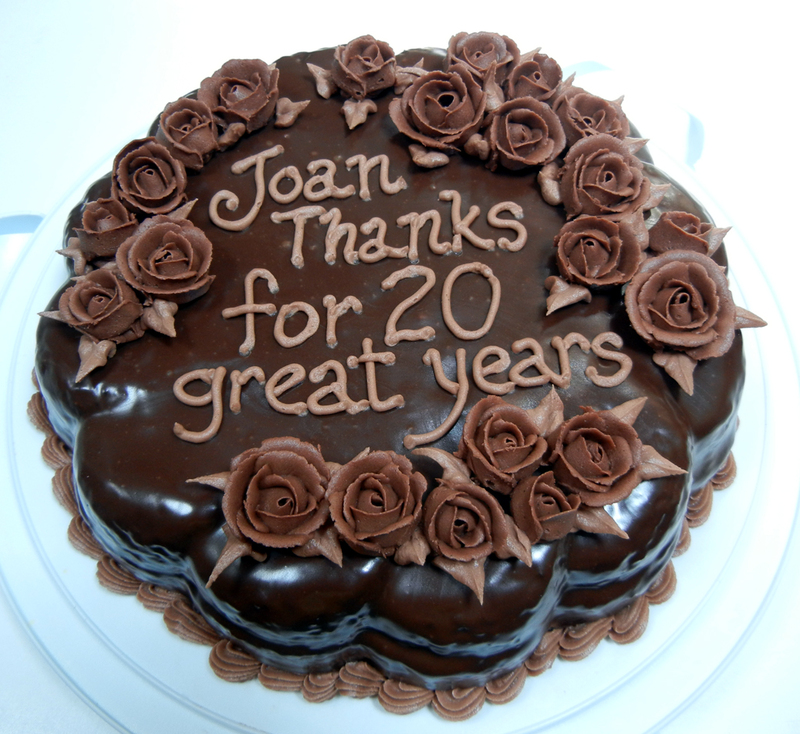 My friend Joan is retiring and I was asked to bring a cake for a wee celebration at the office tomorrow. Her favourite flavour is mocha and she loves flowers so mocha roses seemed just the thing. Twenty years at one place is pretty remarkable in this day and age. I hope Joan has a wonderful time in retirement. I work at a local newspaper and one of our columnists was retiring after many years. Many of his weekly reports dealt with local birds and their peregrinations. I was asked to make a cake for his farewell bash and I thought this was a fitting tribute. Not long after that, my next door neighbour celebrated a milestone birthday with a big party. 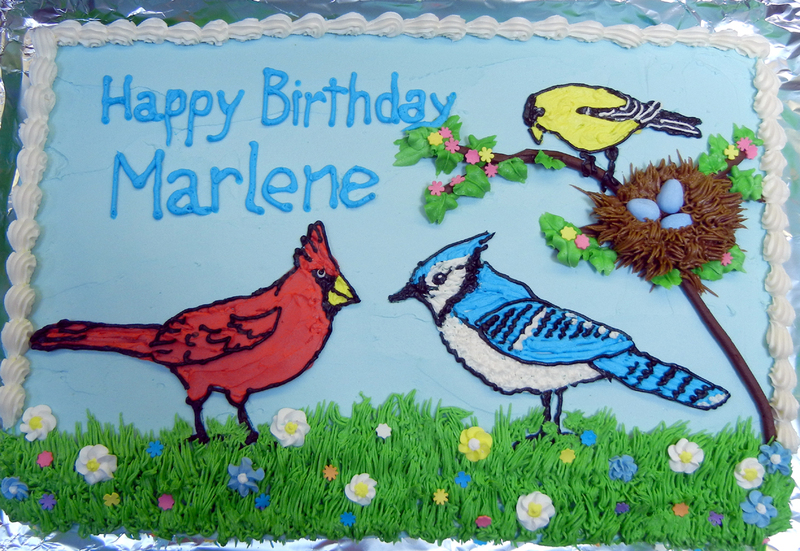 As her gift I made her a cake to feed a gang of 40. She loves bird watching and feeding “her birds” as she calls them. Here are three of her favourites.